Vision correction surgery is a big decision for anyone. Understandably, many of our potential patients have a number and variety of questions about the types of eye correction surgery before they choose to proceed with eye laser surgery at New Vision in Perth. There are four questions most commonly asked, so we’ve provided their answers below. Vision correction is for refractive error (myopia – short sight, hypermetropia – long sight, and astigmatism – irregular vision) and most commonly is with spectacle lenses which have a curvature that adjusts the focus to locate it precisely on the retina (the light sensitive back of the eye). This is also achieved by placing the lens on the eye (‘contact’ lenses) which effectively reshapes the corneal curvature (the cornea is the clear front part of the eye). Eye surgery can also achieve vision correction. Refractive surgery such as LASIK and TEMLA also changes the curvature of the cornea, but in a more permanent way. Changing the lens within the eye may also adjust the focus of the eye; this is achieved with cataract surgery, refractive lens exchange and insertion of an ‘implantable contact lens’ in front of the native lens within the eye (also known as a phakic refractive lens). What is laser surgery for eyes? Actually, there are many types of laser eye surgery. Refractive laser surgery is the popular laser eye surgery for vision correction. It has been successfully performed for over 20 years to reshape the curvature of the cornea to correct myopia, hypermetropia and astigmatism. But there are other types of laser surgery for eyes – About 20 to 30% of patients that had lens surgery (cataract surgery or refractive lens exchange) may require laser surgery to remove a film from behind the lens implant that develops after time. Glaucoma patients often have laser eye surgery to help reduce the pressure in the eye. And a wide range of retina and macular problems, especially those resulting from diabetic complications, benefit from laser eye surgery in Perth. NB: Suitability for laser refractive surgery (laser vision correction) or refractive lens surgery, depends upon refractive error, the health of your eyes and any unique individual requirements. Please contact us directly if you are interested in laser eye surgery costs. 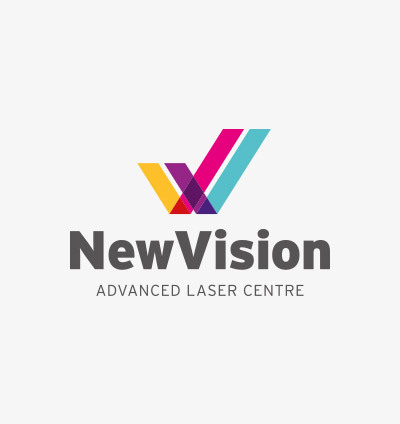 See us at the New Vision Centre Advanced Laser Centre for your assessment and to answer any questions you may have about laser vision correction. TEMLA or LASIK eye surgery may significantly improve your lifestyle! So why not book a consult with the surgeon now? If you are considering surgical vision correction options and would like to find out more about our laser eye surgery or other refractive eye surgeries, then please call us on (08) 9382 4455. Refractive eye surgery is a vision correction that aims to adjust the focus of the eye for those who do not have the focus precisely on the retina (myopes – short sighted folk, hypermetropes – long sighted folks, and astigmats – those with two foci, occurring in combination with myopia and hypermetropia). Refractive surgery is generally a permanent correction that modifies the corneal curvature (such as reshaping the clear front of the eye with laser eye surgery), or lens within the eye by using a lens implant, to better place the focus on the retina (the light sensitive membrane at the back of the eye). Laser eye surgery is a common refractive eye surgery and a good way of providing surgical vision correction especially in younger patients. Lens surgery such as refractive lens exchange is also a great way of providing surgical vision correction, but most commonly in older patients (exchanging the native lens with an implant lens). In some instances where laser eye surgery may not be appropriate, surgery is with an ‘implantable contact lens’ or other phakic refractive lens in front of the native lens is offered as the most appropriate choice. Book your assessment with the surgeon now. What does LASIK surgery fix? Refractive laser surgery (‘laser eye surgery’) such as LASIK eye surgery and TEMLA surgery aims to reshape the cornea of the eye. The cornea is the clear front surface of the eye that has a curvature to bring the focus to the retina (the light sensitive back of the eye). The refractive laser surgery changes that curvature and hence the focus. So these types of laser eye surgery provide vision correction for those with myopia, hypermetropia and astigmatism. If you would like to learn more about the New Vision Advanced Laser Centre and Dr. Morlet, laser eye surgery in Perth, and your suitability for vision correction surgery, please contact us on (08) 9382 4455 to book a consultation.